The scientists from the Victor Change Cardiac Research Institute, Australia discovered that low levels of the vital molecule Nicotinamide Adenine Dinucleotide (NAD) can damage the embryo in the crucial first weeks of pregnancy, which is when the organs begin to form. The breakthrough is being hailed as a “double breakthrough” by the scientists. Not only did they find the cause of the problem, but they have also uncovered the preventative solution to help pregnant women. Their findings were published in The New England Journey of Medicine, with the authors suggesting that providing women with Vitamin B3 (niacin) supplements when they are planning on getting pregnant, as well as during the pregnancy itself, could significantly reduce the number of miscarriages and congenital malformations on a global scale. Vitamin B3 is primarily found in meats and green vegetables. There are a number of pregnancy multivitamins as well, many of which contain niacin. The vitamin is also contained in Marmite, which is a form of yeast extract. The team is hopeful that the benefits of their research are far-reaching in the face of the fact that around 8 million babies each year across the world are born with some form of birth defect. Experts are advising, however, that the findings from the research can’t be turned into any pregnancy recommendations, given the number of potential causes for miscarriage. The research team analysed the DNA of four different families where the mother of the family suffered multiple miscarriages or had babies born with multiple birth defects including problems in the kidneys, heart, vertebrae, and cleft palate. They discovered that there were mutations in two genes causing the child to have a NAD deficiency, which is needed for cells to produce energy and for organs to develop properly. The lead researcher of the team Professor Sally Dunwoodie replicated the mutations in mice, and the team was able to correct the problem if the pregnant mother was given vitamin B3 niacin. Professor Dunwoodie spoke to the Irish Times, saying that it was possible to boost NAD levels and prevent miscarriages and birth defects, as NAD bypasses genetic problems. It’s not often that a team finds both the cause and the prevention method in a single study, especially with such a simple prevention method in a vitamin. Niacin deficiency isn’t as prevalent a problem as folate deficiency in populations that consume a more balanced diet. Even so, a study of around 560 women taking pregnancy multivitamins in the US showed that a third of them had low vitamin B3 levels during the first trimester of pregnancy, suggesting that pregnant women either do no absorb enough niacin from their diet, or that they need more niacin than they are getting from their pregnancy multivitamins. It’s important to note that the Australian researchers aren’t claiming they have discovered the source of all miscarriages and birth defects, nor are they claiming that taking niacin supplements can prevent malformations. Professor Dunwoodie has said that the findings may be restricted to families that have suffered from multiple miscarriages and birth defects, but that it could have far broader relevance and affect even more families that are at risk of having babies born with just a single defect. The study, which was conducted over 12 years, could have an impact on the one-in-four pregnancies in Ireland that end in miscarriage, according to an IVF expert. The chances of miscarriage increase significantly for women over 35. Professor Simon Fischel, the director of Beacon CARE Fertility in Dublin said that while the study is potentially important and intriguing, and has been conducted properly, one must recognise that there are many potential causes for a miscarriage. Prof Fischel is an expert in fertility research and a member of the team that pioneered IVF treatment. The professor pointed out that the number one cause of miscarriages today is chromosome errors. He added that anything that is shown through mouse modelling must be of proven medical concern in humans. Professor Fischel believes that, due to the ubiquitous nature of vitamin B3, a NAD deficiency is more likely associated with defective genes or the metabolic process. The only way to determine the true value of niacin supplements is to discover the people that will benefit from it the most and is likely to need it. 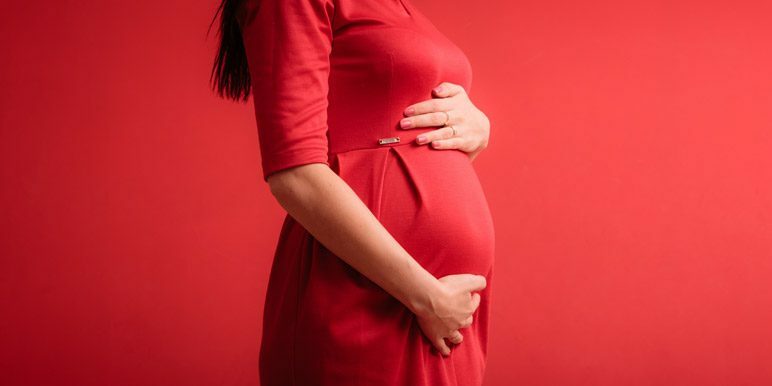 Dr Katie Morris, an expert of foetal medicine from the University of Birmingham discussed the matter with the BBC, saying that the discovery may be exciting, but it can’t be translated into a recommendation for pregnant women who may have a vitamin B3 deficiency at the most. The doses from the research were 10 times the recommended daily dose of vitamin B3 for women. Dr Morris added that it is unknown what kinds of side-effects such high dosages could have, especially given the complex interaction of factors that can cause complications in pregnancy. For now, professor Dunwoodie is recommending pregnant women take multivitamins for pregnant women, which include 18 milligrams of niacin. However, not everyone absorbs nutrients in the same way, and factors such as diabetes and BMI can influence the ways in which women produce NAD. The next thing she plans to study will be looking at identifying women that aren’t producing enough NAD. Last updated: Aug 24, 2017. Bookmark the permalink.